Every image available in internet is more or less edited and retouched. Fashion photographs or model images are unquestionably retouched. There are lots of effects applied to these images. The fashion photographs for publishing in various social media get many attractive effects. Some social media like Instagram has many default image editing effects which will make your images charming. When you have a lot of fashion images for publishing in social media and instagram, and if you want to add various effects, it will be time consuming and costly. 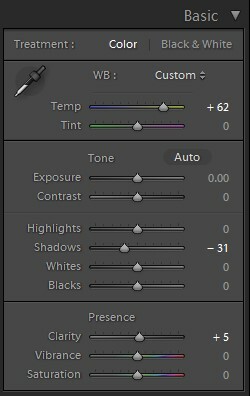 You can add the same instagram effects in your bulk fashion photos in Lightroom applying presets just by a single click. For the sake, we have created fashion photography Lightroom presets for you and you can download all these presets free of cost and apply in your fashion pictures. 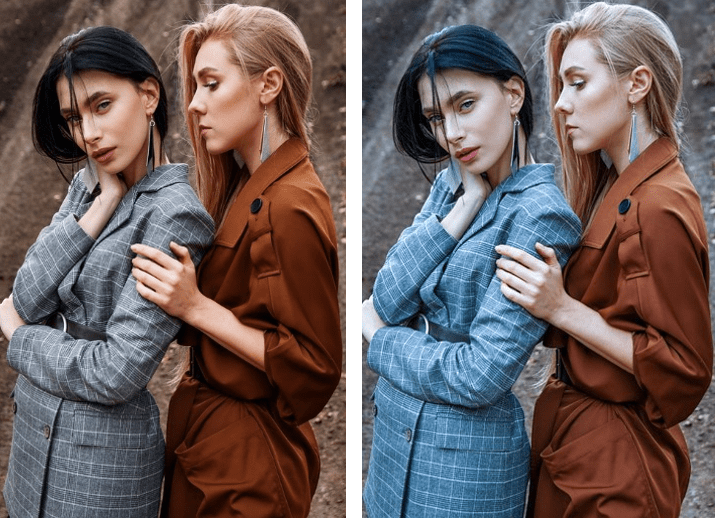 You will experience real instagram effects using these 50 free fashion photography Lightroom presets and you must get cool fashion images as you desire. It is a fantastic and widely used instagram filter. It will add extra light in your fashion photos. 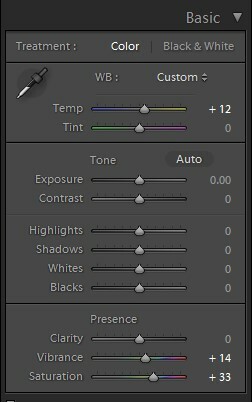 Using this filter, you can slightly desaturate your images which look cool. By the same name Clarendon, we have created an awesome Free Lightroom Presets that you can use to have the same instagram result. It will enhance the lighter and the darker area. 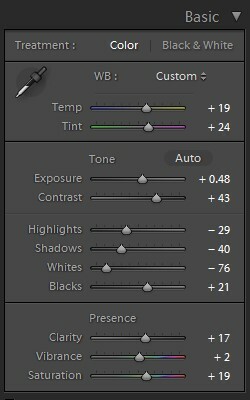 However, for having the perfect instagram effect in Lightroom, we have worked on Contrast and Tint. We also work on Highlights, Shadows, Whites, and Black. The points of Clarity and Vibrance are also changed. See the above attachment for better understanding. 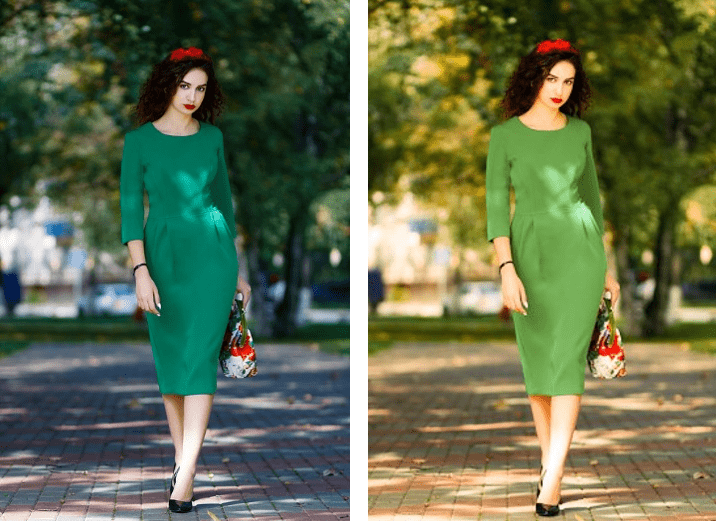 This preset will add a light tint color in your fashion images. It will enhance the color and light area. This preset works best on dull photos, light colors, and will make your images a bit of vintage. Its yellow hue will add a warm feel and your new fashion images look like few years back-dated. However, you can use this fashion photography Lightroom preset free in your images. While creating this preset, we applied various slides of Lightroom Basic editing panel. Firstly, we add Temp and decrease Tint for having perfect yellow hue. For increasing blackish in the dark area, we decrease the Contrast. Finally, we grow the point of Clarity and Vibrance to make the images clearer and perfect. It is another cool Lightroom preset that we created same as the Instagram Rise filter. It will add wonderful warm morning glow in your fashion photos. This fashion preset increases the golden glow and works best on the model’s skin. It will make the skin look softer and smoother. If you like to use this preset in your fashion photograph, you can do it totally free of cost. While producing this Rise Lightroom Preset, we increase the Temp for getting perfect yellow hue which will make your images warm. We also reduce the point of Shadows and for having perfect cooler photo, the point of Clarity is increased a little bit. This preset will make brighter and highlighter the center of a photo. It will also create a black shade around the image which add a vintage look. Amaro also adds light, and airy glow in your fashion photographs which will be dreamy and filmy. If you want to apply this Lightroom preset, download free and use. 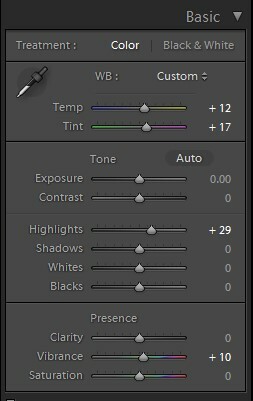 During the creation of this preset, we work on Exposure and Highlights for lighting management. We also increase the point of Clarity to make the image clearer. While creating Amaro Lightroom preset, we use Lightroom Graduated Filter for getting the blackish shade around the photo we have used for example. This Lightroom preset will warm up the color of your fashion photos. It will add spotlight on your main subject and creating a blackish shade around the photo, Mayfair can create a dreamlike image. This free Lightroom preset works best in the ever and under exposed images. So, to get the best result, try to use suitable images. During the creation of Mayfair preset, we increase the point of Temp and decrease that of the Tint. We also increase the value of Exposure and reduce the points of Highlights so that the image gets a spotlight effect. Most importantly for creating black shade, we applied Lightroom Graduated Filter which may not work on every image instead of suitable photos. This Lightroom preset increases the red and yellow hues in your fashion images same as the below example. It creates a feeling of depth. It works on oranges, red, and yellow colors and intensify their glow. It will provide a warm feel and life to the image. It will also add a rich and deep color tone in your fashion images. For creating this Juno instagram filter in Lightroom preset, we grow the value of Temp that increases the yellow hue and brings the warm feel. For lighting management, here the points of Highlights and Whites are increased. However, you can use this preset free and make your fashion image pop. It is an awesome Lightroom preset that can make your fashion images warmer than before. It has also ability to enhance other images like real estate, architecture, and various types of shapes. Ludwig enhances the required light and deep color in your images as need basis. It will generate a chocolate color feel in your fashion photographs. To generate this Ludwig Lightroom preset, we had to increase the value of Temp and Tint. 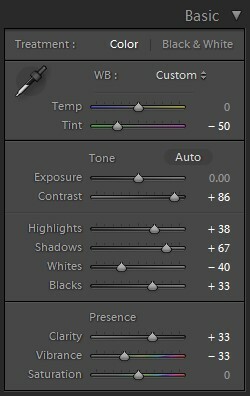 This step helps creating a chocolate hue in the images. To improve light in the photos, we work to increase the property of Highlights and to remove blurry spots, we increase the points of Vibrance and finally, we get a cool Ludwig instagram like fashion photo. It is also an outstanding Lightroom preset that will make your fashion photo vintage a little bit and add romantic attitude. It will make the image dreamlike and add retro by de-saturating and making hazy. Slumber can affect nicely on the model skin and you cannot but feel love with the model of fashion photographs. To create this preset, we work on the value of Temp that is increased and we reduce the value of Tint. By moving the two slides, we create our main effect on the image. Later, we reduce Vibrance and increase a little bit Saturation for getting proper hue and color. However, this fantastic Lightroom preset is also free and you can use it without any cost. It will de-saturate your images and you will get a vintage effect. You will get a nostalgic feeling in your fashion photo. It will add yellowish tint color and brighten your photos and a wash out feel will be evoked. To create Gingham Lightroom preset, we increase the Temp and decrease the Tint. This process will make the photo brighter with a bit of green hue. Finally, we decrease the value of Vibrance so that it gets proper desaturated and vintage look. See the below example. This preset will create black and white fashion photo, but yet it is not fully b&w photo, rather de-saturated and vibrated photo. It will look gorgeous because of its semi- black and white appearance. It’s pretty reddish color will make a cool and dreamy photo. It looks like pretty much milky and washed. While we create this preset, we follow the instagram willow filter and increase the Tint value. It adds reddish hue in your photos. For having a perfect willow effect, we reduce the value of Saturation and the result as it is shown below. This is a basic instagram filter that makes your beautiful image black and white. We follow this filter and made same Lightroom preset that also acts as the Inkwell works. It also transforms your images into black and white. You can apply this preset on every photo like fashion photo, portrait, and other personal photos. However, you can use this preset free. For creating this preset, we reduce Saturation hundred percent and increase Vibrance a little to have a warm black and white. Then, we also increase the value of Shadows and Whites for maintaining proper exposure. The preset is very active on the nature images. It will create bluish and green effect in your images. The images which have blue and green color can be highlighted by using this preset. Try to use this preset in the outdoor photo, but be aware it may ruin the skin texture. So, close shot photo are not suitable for applying this very preset. To create this awesome preset of Lightroom, we didn’t move too much. We just have changed the value of Temp and Tint. To get yellowish color, we increase the property of Temp and for greenery effect, we de-grow the points of Tint. It is another interesting Lightroom preset that is created following the instagram filter Moon. This preset will make your fashion images black and white. It will increase the black shades nicely and will provide an old look in your images. 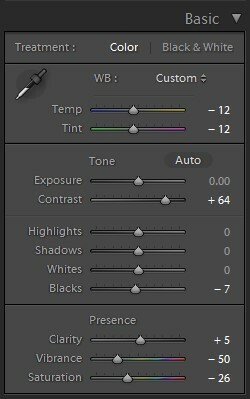 However, this preset works best on the portrait images, nevertheless you can use it in any photos. For producing this preset, we decrease the Temp and increase the Tint. We also increase the value of Contrast to highlight the blackish. Finally, we decrease the property of Vibrance and Saturation for having the perfect black and white color. However, this preset is free and you can use it simply downloading from our site. It is really a beautiful Lightroom preset inspired from Sierra instagram filter and it works same as that filter. Anyway, it can add warm Temp and Tent color in the images. This preset produces soft and sophisticated photo with a lovely golden glow. This tool suits best with outdoor nature images. You can also apply this preset on fashion images and make those pop. While making this preset, we work on Tint for getting golden hue. Further, we increase Clarity and Saturation for having perfect color combination. 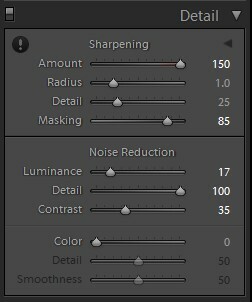 In this preset, we apply Sharpening tools and Luminance for noise reduction. 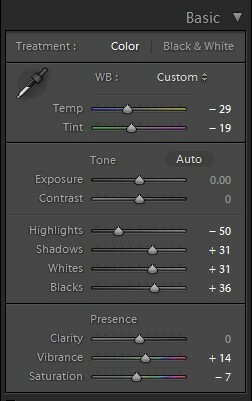 See the above images to get an idea of applying Lightroom tools. It is another fantastic Lightroom preset for city, nature, and fashion photos. This preset can affect contrast, vignette, and add a warm feel. In the background, X-pro preset will add shadow and dark elements. This preset works best in the bright and board daylight images. Remember, it is not suitable for close-up portrait photos. While crating X-pro Lightroom preset, we de-grow the points of Tint that has brought light green effect in the photo. For having perfect contrast, we increase the value of Contrast. We further increase the property of Clarity and sharpening so that the image may get clearer than the first one. As an aftermath of so far enhancement, some noise may arise. 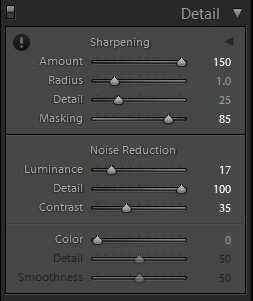 So, for noise reduction, we increase the value of Luminance and detail. See the above snapshots. It is one of the most demandable Lightroom presets. It has ability to make gorgeous your fashion photos. 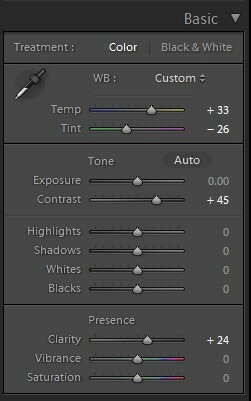 This preset will add light black shadow combining bluish hue in the background. It’ll make your images darker and reduces extra glowing and create an eye-soothing photo. 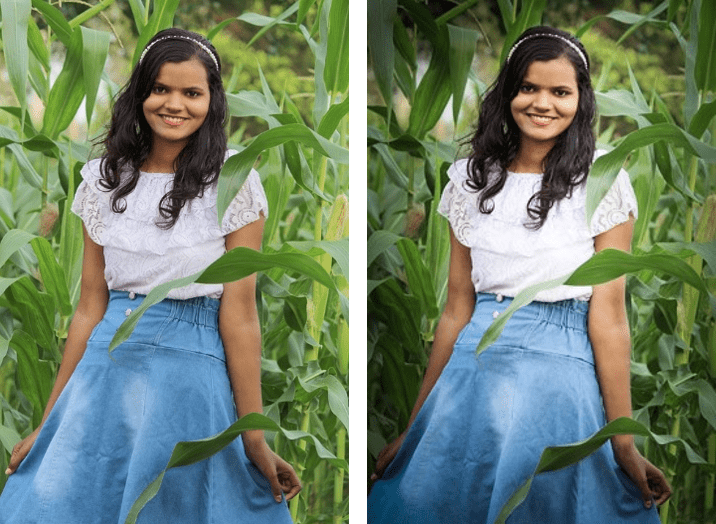 Your photo will restore hidden pixels and more vivid dropping out blurry pixels. 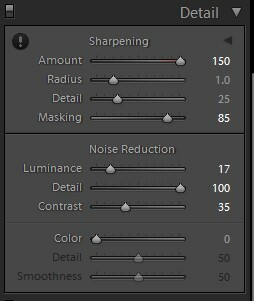 During generating this awesome preset, we simply increase Clarity and the sharpening amount for having a sharper image than before. We also increase the value of Luminance to remove extra noises. Later, to color management, we increase the points of Saturation and to have a little glowing, we de-grow the Tone Curve. 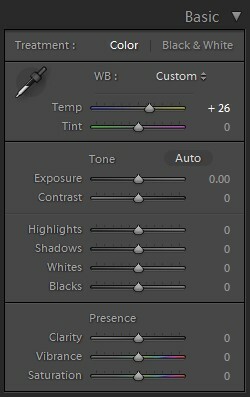 However, this preset is totally free and you can use in fashion images simply downloading from our collection. It is another wonderful Lightroom preset inspired from instagram filter. This preset is awesome for fashion and nature photos. It will enhance the saturation and warm up your images. It will highlight the existing golden glow in the photos. For creating this presser, we increase the value of Temp that enhances the golden color in the photo. To enhance total color of the photo, we increase the property of Vibrance and Saturation. This process steps up the quality and beauty of the fashion photos. This preset will create blazing fashion photos. It will add a dodge center and your images will be looked like affected by red tint and a burnt edge. Please keep in mind, the preset will work well in outdoor and bright daylight images, instead of gloomy and night shots same as the Toaster instagram filter. It has ability to make your photos outstanding vintage look providing extra yellowish color. 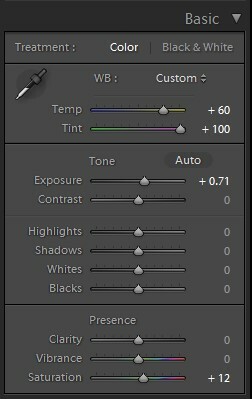 For making this preset, we increase the property of Temp and Tint primarily. It gives us yellowish color that we wanted, but for having more perfection, we further grow the value of Exposure and Saturation. To get burnt color at the image edge, we also apply Radial filter and get the perfect effect we desired. This very Lightroom preset is for making your fashion images vintage. It will make the photos eye-soothing and all colors will be faded. Nashville applied photos will remind your old memories taking you back in those days. This preset is free and you can use simply downloading from our collection. To produce this preset, we increase the value of Temp that increases the yellowish color. We further increase the points of Shadows to balance the black and white color. Finally, we decrease the value of Vibrance that makes your photos faded and provides a vintage look just as we want. It is another excellent Lightroom preset that will provide fashion images high contrast and high exposure at the image center. It makes images deep, grave, and bright. All types of fashion photos really get awesome looking. For having best result, try to use this preset on the images which have nature background or multi-color metal backdrops. While creating this preset, we increase the Temp and decrease the Tint so that we can make the photo brighter. Then, we increase Contrast and the decrease the value of Highlights. We further de-grow Vibrance and Saturation to get faded color that makes the fashion photo something like vintage which is our goal to achieve. Finally, we apply Lightroom redial filter and increase its exposure to have central whitish color. It is a vintage effect making filter in Instagram and following this filter, we created Lightroom preset with the same name and features. It will desaturate your over lighted photos and make these images as if captured in the old age. Earlybird, this very name indicates that the given feature of this preset is for making photos old looking. It is also capable of adding sepia tint and vignetting in the fashion filter. For producing Earlybird preset, we increase Tint for creating yellowish color. Next, we grow Contrast hundred percent for having blackish in the behind. Finally, for getting perfect color we use Vibrance to fade the images. 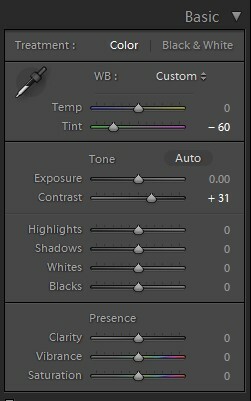 However, this preset is free for downloading and you can apply in your fashion photos. This preset will provide cooler effect in your photos. Your images will get icy and cold look. The suitable images for this preset should have worthy winter look. The subjects of this preset are fashion photos, architecture, nature and automobiles. Hudson will add cold and blue smoked effect in your images and as a result, they become outstanding. 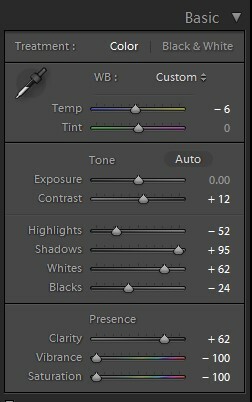 This awesome Lightroom preset is created by decreasing Temp and increasing the points of Contrast. The work on Temp creates the purple hue that brings cold effect in the photo. The value of contrast deepens the darkness and give the image real winter effect. This Lightroom preset is dedicated to the fashion photographs. It can highly affect fashion photos to have an outstanding golden glow. The fashion images which have taken in the afternoon or evening and have some sunlight are worth of applying Kelvin Lightroom preset. It will transform the sunlight into superbly golden glow that will make the photos dreamlike. For creating Kelvin Lightroom preset tool, we firstly increase the property of Temp maximum. This work has made capable this preset to bring about golden hue in the photos. Later, we work on Exposure a little just as the image demands. It is another outstanding Lightroom preset that can make your fashion photo including portrait photos awesome. It is a low contrast preset. This preset can soften your photos. It will desaturate the images. It is capable of skin smoothing. 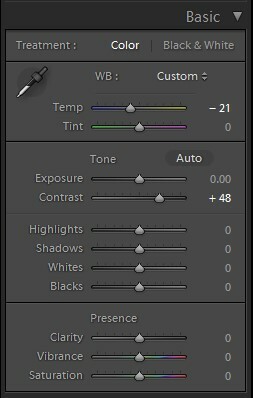 So, you can also apply this preset in portrait photos. It warms the cooler colors in your photos. In this preset, we use Temp and Contrast. The value of the two slides is increased as needed for the images. Then we decrease the points of Highlights to have a cooler effect. We further de-grow the property of Clarity and Vibrance so that the images get low contrast and becomes high quality. This Lightroom tool will make your images smooth and cream-like. It will slightly desaturate your photos. Including fashion photos, this preset can work best in the food and city shots. Besides, it can work with nature and multi-color images. It produces eye-soothing images, removing flashing and dazzling effects. 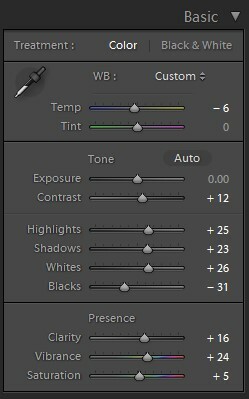 To make this awesome Lightroom preset, we did not work too much. We just increase the value of Temp to bring yellowish color in the photos. Then, for getting eye-soothing cream color, we decrease the value of Saturation fifty percent. 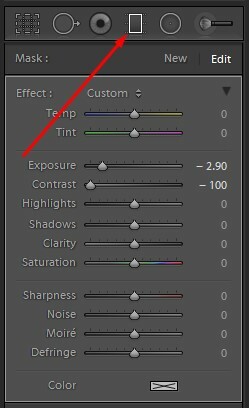 This only two steps make us capable to create such a wonderful Lightroom preset. 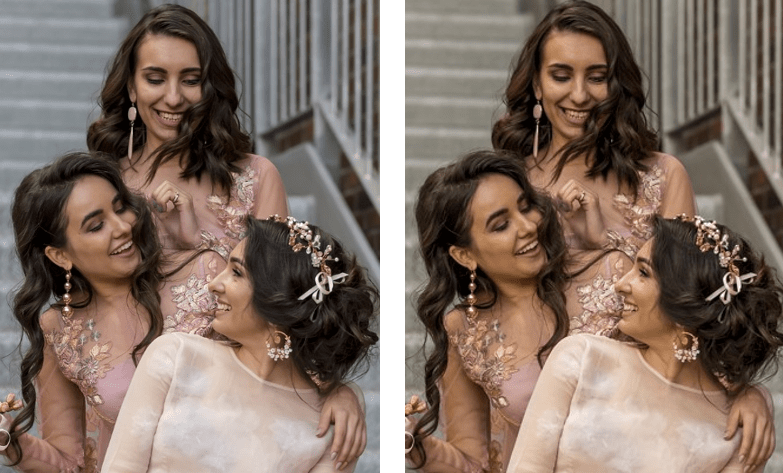 Reyes Lightroom preset will desaturate your fashion photos. It will brighten the images and provide an old look in the images. It can affect your model skins. So, you can use this preset in portrait photos. It can add a nostalgic feeling in the photos. To generate this Lightroom preset, we increase the Temp and decrease the Tint. This makes the image brighter than before. We also increase Highlights for the same purposes. To have an old look in the photos, we decrease the Vibrance and increase the Saturation. However, this preset is totally free and you can just use it by downloading from our collection. 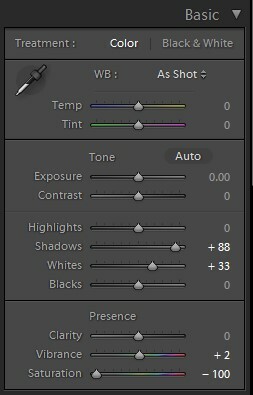 This is another excellent Lightroom preset. It is capable to add darken and vignetting effect in the images. It can make the cloudy image smoked look. It will emphasize on the purple and brown color to create that effect. Though it can work better on the portrait, it can also make outstanding the nature and fashion images. Outdoor images are great subjects for this preset. To create this preset, we work with Temp and Tint that make the images purple and brown. It also affects the background cloud. We further increase the Exposure and Contrast. We decrease Highlight, Shadows, Whites, and increase the Blacks for light management properly. To make the images more subtle, we increase the property of Clarity, Vibrance, and Saturation. 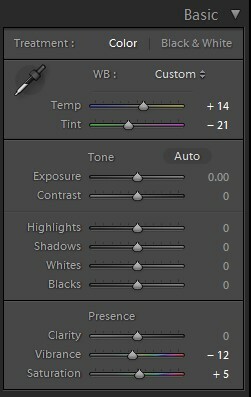 This is an interesting Lightroom preset and its name indicates its old school quality. This very preset can make your fashion photograph faded and vintage. The images edited by this preset will remind you about the past memories and make you nostalgic. The outdoor beach photos and other images which have nature and water in the background can be nicely affected by 1977 Lightroom preset. To make this preset, we work on Temp and Tint that brighten the color. It will provide the image old color. Next, we increase the point of Clarity to make the photo sharper. 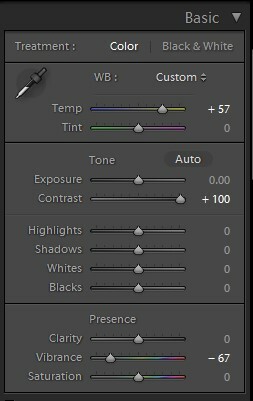 However, this preset is free for applying in your photos. You can download this free Lightroom preset from our collection. This preset will add tint color in your images. It will also brighten the center of the photos with golden and slightly green tint color. This preset wonks best on the portrait photo, but still you can use it in the fashion images. It will give you a vintage photo. In this preset, we work on the Temp and Tint. Here the value of Temp is increased and that of the Tint is decreased. Exposure, Whites, and Shadows are decreased while the value of Highlights is increased. All these works have made the preset capable of enhancing your images nicely. Stinson Lightroom preset can brighten your fashion photos including portrait, nature, and beach photos. It can wash out the colors and make the existing colors warmer. This preset has the capability to transform image into vintage and thus can give a subtle nostalgic feeling. For having such an awesome Lightroom preset, we didn’t do much changes in the slides. What we did only the increasing of the Temp value for having vintage look yellowish color and decreasing the value of Tint. These two steps made us capable of getting this preset that can be used free by simply downloading from our collection. Another popular Lightroom preset is vesper which is made getting inspiration from Vesper instagram image editing filter. It can add yellow tint in the images and they get a wonderful vintage look. 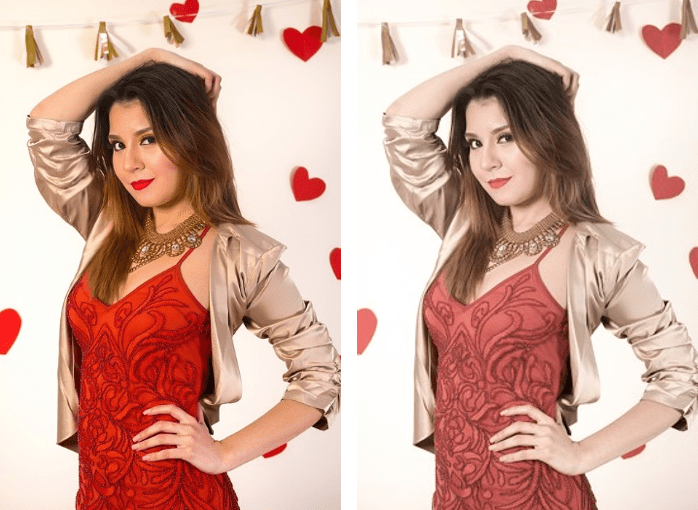 It is recommended to use this image editing preset in the portrait photos because of having its skin retouching ability, but still you can use it in the fashion images that contain beach, nature, and sky backdrop. 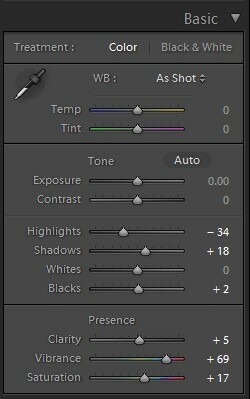 However, it is important to apply right preset on the suitable photos, please remember. To have this Lightroom image post production preset, we work less on the slides. We increase the Temp up to 26% for yellowish color and decrease the Tint upto -24%. These two steps happens this great useful Lightroom picture editing preset. This is another useful image enhancing Lightroom preset that does not work same as the Maven instagram filter, rather it add much yellowish tint color in your images. It will remove the shadows and darkness from your fashion photos and make the photos more lifelike. It can work in portrait photo unlike maven instagram filter and provide an excellent vintage look. To make this preset, we increase the property of Temp and decrease the Tint so that we can have perfect yellowish vintage look. Finally, we have increased the value of Shadows to remove all darkness from images. Anyway, download this preset from our website and apply on your photos free and enjoy. It is another fantastic Lightroom photo manipulation preset that actually brightens images. It can add warmer glow in the fashion photos. 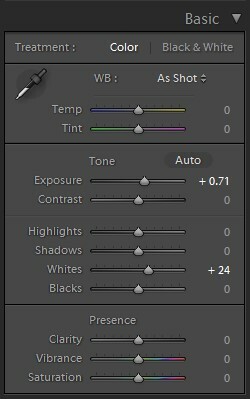 Besides, this preset can bring a satisfactory change in the nature, evening shots, portraits, deserts, and city shots. It increases the golden complexion in the photos. 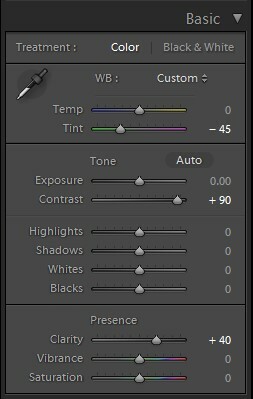 To generate this preset, we increase the points of Temps and Tint that increase initially the golden tint in the image. Then, to make the image a little bit dark, we increase the Contrast. Next, we decrease the property of Highlights and Shadows that also add darkness in the photo. Finally, we have increased the value of Vibrance and Saturation which will make the photos blazing and lighting. However, you will get this preset free from our site to edit fashion photos. Another wonderful Lightroom photo manipulation preset is Skyline. 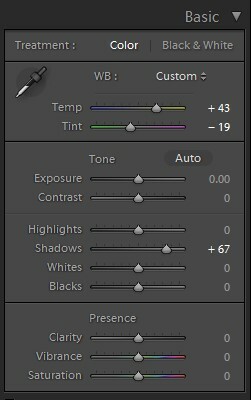 If you feel to get a little brightness in your images, you can apply this preset. It will correct the image automatically and will give them a nice pop. 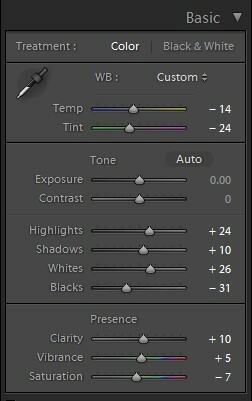 This preset can be applied to any image, but you will be benefited more if you can use it on the sky, ocean, and nature images. For making this preset, we increase the Exposure and Contrast. We also increase the value of Shadows to lessen the amount of darkness. 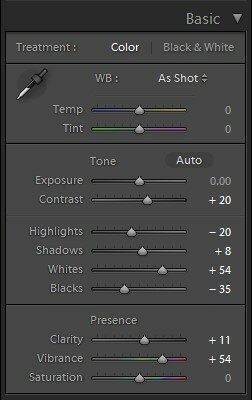 Finally, we increase the property of Clarity to get the photo clearer and Vibrance to maintain proper color correction. This tool is amazing for color correction in Lightroom. This preset increases the darkness in the background. It washes the lighter colors and brings in your images dramatic look. It works well with the bright image, and it is recommended not to use in the dark night sky. It will also add yellowish tint color in your fashion photos. While creating the preset, we increase the Temp to get yellow hue. Then the value of Contrast is increased to have the dramatic look. For balancing colors, we decrease the Highlights and Shadows. However, this Lightroom preset is totally free of cost and you can simply use it taking from our collection. This one of the most useful Lightroom preset that we have published inspired from instagram Helena filter. 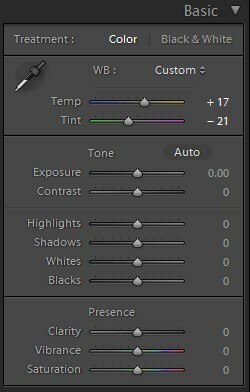 This preset will add green hue in the fashion photo. You will also get orange glow in the image that will make the photo nicely pop. It works best in the outdoor photos like landscape, seascape, real estate images, etc. For having this popular Lightroom preset, we decrease the value of Tint -60% which increase the green hue in the photos. Then we increase the Contrast 30% that makes the photo just as we desire. This preset is capable to make your images dramatic and outstanding. This preset will make your images vintage and increase the golden glow. It creates effects without increasing shadows in the images. This preset is perfect for portrait photos, but you can use it in the fashion and nature images. If you want to have vintage feel in your photos, this preset is ideal. For creating this preset we do a very little thing. At first we select suitable image and then we apply Temp up to 26%. This only one step has brought about the fantastic vintage feel in the photo. We use a portrait photo while creating this preset, but you can use this preset in any image including nature and fashion photos. It is another popular Lightroom preset that can make a dimly city image highly pop increasing lights. It will add tint and rad hue in the image and the image gets a fantastic vintage look. Charmes can work well in the city, street, and dimly fashion images providing bright lit and making outstanding. For creating this preset we increase the Temp and decrease the Tint to get a perfect bright lit that removes the shadow. Next, we increase the value of Contrast so that we can get worthy background color. Finally, we increase the property of Clarity that make the image sharper. Black and white images remind us about the memory of old school. They make us nostalgic. At the present time, we like to add black and white effect in our images to have such a feeling and try to see how the image would be if they were taken in the previous decades. 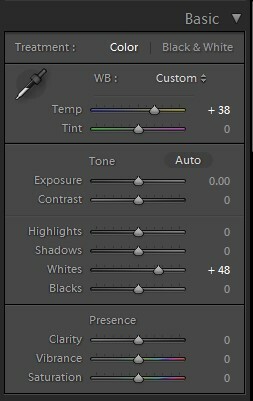 This preset is outstanding to have black and white preset in the fashion photographs. Using black and white Lightroom preset, you will get cool old school photos capable of creating nostalgic feeling. For creating this awesome Lightroom preset, we firstly minimize -100% Saturation and Vibrance that instantly generate black and white photos. Then, we work on other slides to get cool and warm effects. See the above attachment for better understanding. 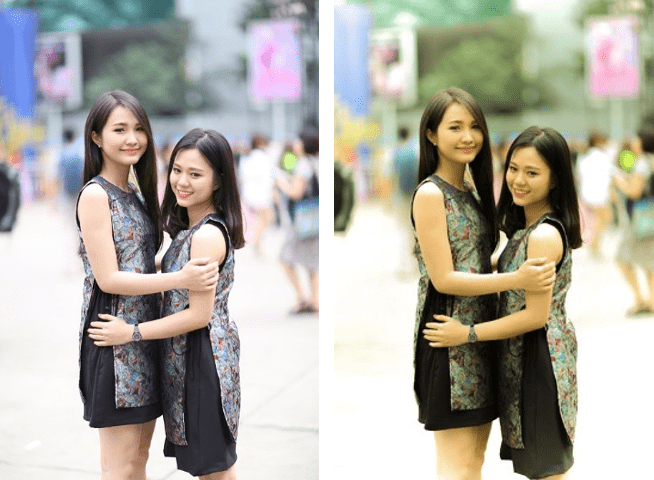 This preset will desaturate your fashion photos increasing contrast in the background. It will make the image clearer. This preset is effective in the photos which have over exposure and extra color. It makes those images cool and warmer. It will provide you slightly black and white feel. While creating this preset, we decrease the value of Temp and Tint, but increase that of Contrast to have perfect clear color contrast. We also decrease the Blacks, Vibrance, and Saturation to have cool desaturated feeling. To make the photo clear, we increase the value of Clarity. 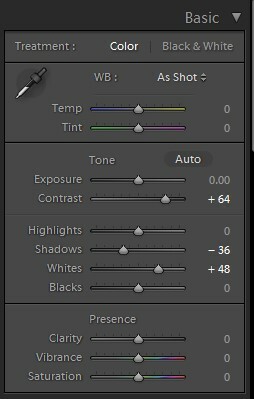 This is another fantastic Lightroom preset. It will add wet dusky effect in the images. To apply this preset, the photo will be brightly lit and when you will apply the photo will get yellowish tint color and you will feel as if few moments ago rain wets the image subjects. 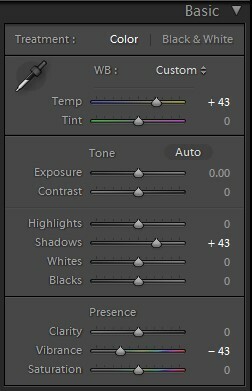 However, this preset is free and you can use it simply taken from our website without paying any credit. To create this preset, we increase the Temp that makes the image yellowish. Next, we decrease the Contrast, Highlights, and vibrance to get cool effects. This process will create a wet feel and image will take a dusky effect. This preset will make your afternoon image brighter. It will increase tint color and enhance every color in the photo. Your afternoon images will be outstanding getting glowing effect and you will feel warm and happiness in the image. It will enhance overall beauty in your fashion photos. 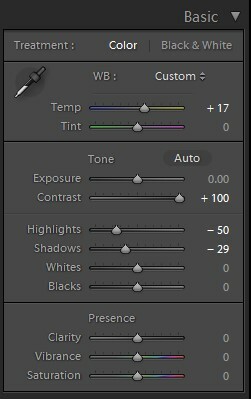 To have this useful Lightroom preset, we increase first the value of Contrast. Then, we decrease the value of Highlights and Blacks and increase the property of Shadows and Whites to make the existing color pop. Finally, we have increased the Clarity to make the image clearer and Vibrance for color enhancement. This preset will add tint color in your dim afternoon and rainy fashion photos. It will remove darkness from the background and enhance existing color. Increasing yellowish color, this preset will help to vanish wet moisture from the images. Your images will get warmer and you cannot but say wow. For creating this rainy afternoon preset, we increase the value of Temp. It will bring warm color in the image. Then, to make the image hot and pop, we increase the amount of Whites which allows the image to be glowed and outstanding. However, you can use this preset free to get stunning and beautiful rainy fashion photos. By applying this preset, you can highlight your image in the frame. It will make the background and its other objects blur. It will increase the light in the face and remove the darkness. This preset will help to make your fashion photo glowing than ever and you must feel the chill. Images will be charming and attractive more than you desire. To make this preset, we did not do a lot of changes in the Lightroom slides. We just increase the value of Exposure to remove darkness. And then we increase that of the Whites which makes the background blur and gorgeous your appearance in the image frame. It is also an interesting Lightroom preset that will make your fashion photos more live, beautiful, and attractive. You will be looked more energetic, gorgeous, confident, and charming. 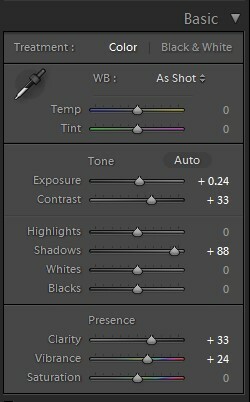 This preset works great on the skin that is why you should use on the close-shot fashion photos. It will highlight the color or digital makeover and increase the radish hue. 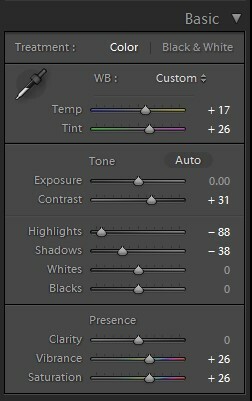 To make this preset, we decrease the value of Highlight, but we increase the Shadows and Blacks. To get more a charming skin, we increase Saturation and Vibrance that bring about the red hue in the flesh of the models. We tried to bring forth every pixel and so, we increase the amount of Clarity. 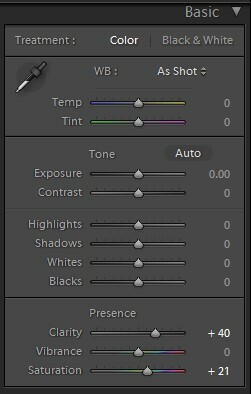 This is a wonderful preset that can make your radish and extra tint colored fashion photos cool and eye-soothing. It will reduce additional yellowish color and add a bluish hue in the images. Your photos will get afternoon-like flavor. You must feel chill getting such awesome fashion photos. To create this Lightroom preset, we decrease the Temp and Tint which reduce the yellowish color. Then we decrease Highlights and increase the Shadows, Whites, and Blacks. We also reduce Saturation while increasing Vibrance. This Lightroom preset will make clear the background. It will remove the blurry effect and the background will be more attractive and brighter. It will increase contrast and your fashion photo will be stunning and outstanding. You must be grateful to this awesome image enhancing tool. It will give exactly that kind of fashion photos which you desire and searching for fashion contest. In this preset, we increase the value of Contrast that make the background clearer and highlights your main photo. We decrease Shadows, but increase the value of Whites. All these steps will make your photos great looking and you will be pop. 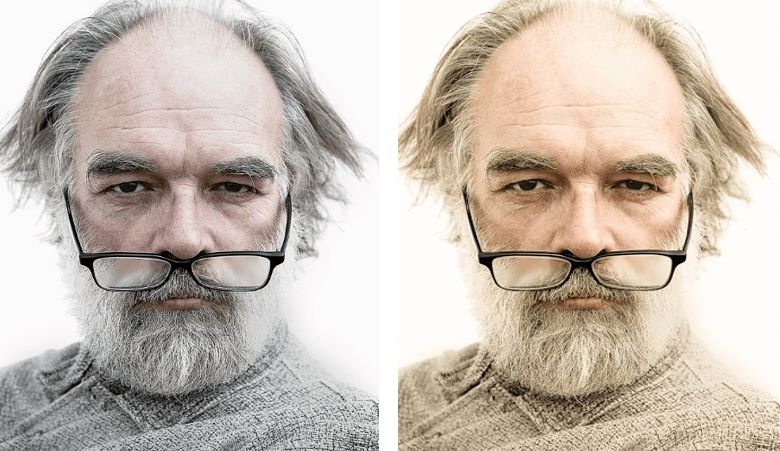 This preset will transform the color of your fashion photo to soil like vintage. It will desaturate you images and you will be nostalgic remembering your old school days alone or with friends and family members. You will feel awesome using this preset which will increase the contrast and create an eye-soothing effect in the images. 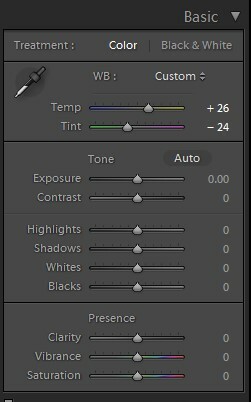 To have this preset, we have to decrease the Temp and Tint. For light management, we increase the Highlights, Shadows, and Whites, and de-grow the Blacks. 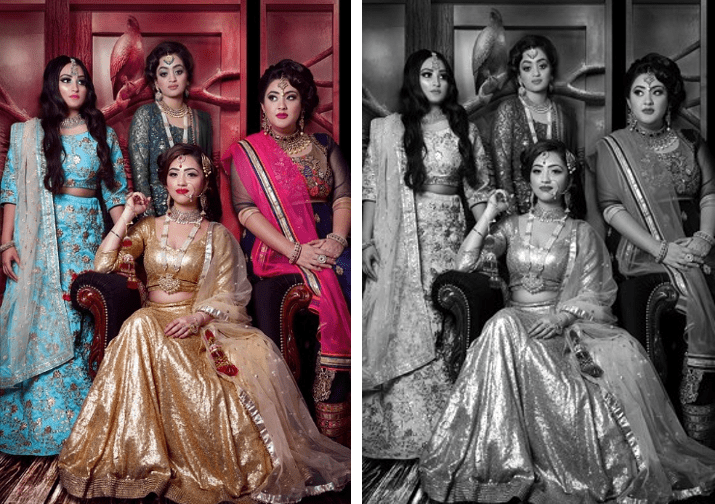 Finally, we have increased the value of Clarity and Vibrance as well as decrease the Saturation to get a faded look. 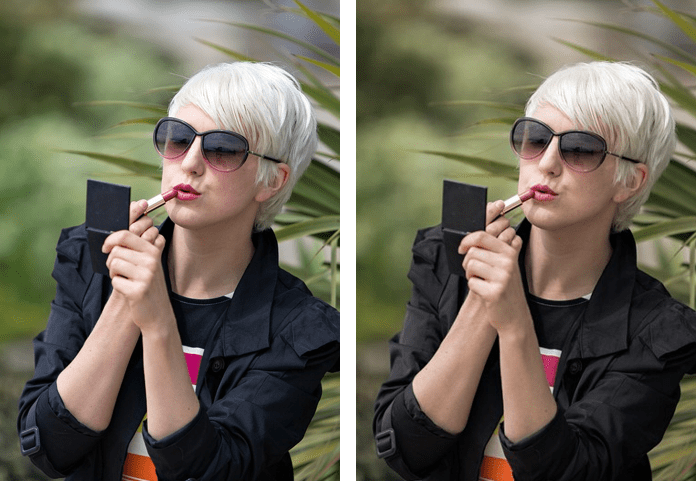 This preset will clear the background of your fashion photos reducing white glare. At first seeing, you may not feel the changes, but if you look deeply, you can identify the difference. Your images will be more lifelike and the background will be pop. This preset can work nicely in the portrait photo, because it is capable of skin retouching. Applying this preset, you will get professional skin retouching effects. For getting this preset, we firstly decrease the value of Temp a little bit. Then, we increase the value of Contrast, Highlights, Shadows, and Whites. We minimize the property of Blacks. For perfect color combination, we increase the Saturation and Vibrance. To have a glare free background, we increase the Clarity. This preset will make your fashion images almost vintage. It will add pretty much brown and tint hue. Your image subject and surroundings will get afternoon-like mood. It will provide a little bit matte color. It will make you nostalgic reminding your happy past moments. 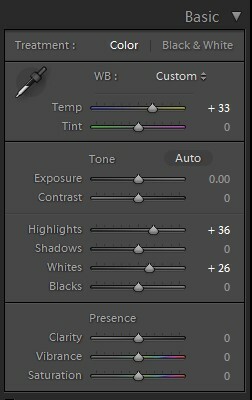 However, you can use this preset free of cost on any image. Here, we work on Temp to get tint and brown color combinedly. We increase the contrast and Shadows, on the other hand, we decrease Highlights, Whites, and Blacks. Finally, we decrease the Vibrance and increase the Saturation. 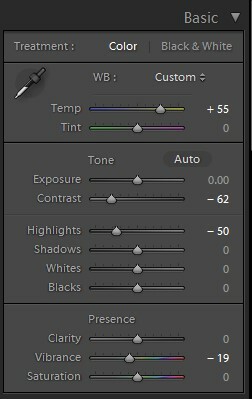 Apply this preset and enjoy. However, all these Lightroom presets have been made inspired from Instagram filters and we have tried our level best to maintain same effects. We have shared these presets, open for all the graphic designers to apply in their images. So, if you like these effects, try to apply in the suitable images to get better results. Beside this, Color Experts International, Inc. has been offering all types of bulk photo editing services for the last 30 years. Our services are photo background removing, clipping path, image masking, photo restoration, color correction, neck joint or ghost mannequin service, creative photo manipulation, raster to vector conversion, creative logo design, eCommerce product photo editing, and many more. We have in-house skilled and experienced graphic designers’ and vector specialists’ team. They are working with the modern image editing tools like latest version of Adobe Photoshop, Illustrator, Aftereffect, Pen Tablet (Wacom) and more. CEI has world class customer service department. The executives are here highly skilled, professional, and easy going. They are using high speed broadband internet to provide services you 24/7 days. We have QC department who ensures hundred percent global picture editing quality. However, we are providing all these high quality image editing services professionally at the best price packages. We provide discount on bulk photo editing order which helps reducing total service cost. If you are interested to take our services, please, Request a Quote or to judge our service quality, take our Free Trial offer.